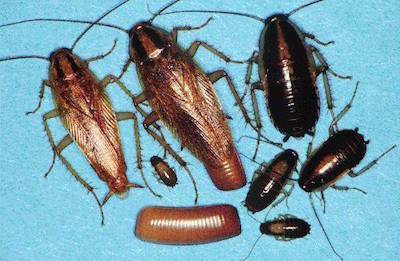 There are 4 known Cockroaches to reside in Washington State. 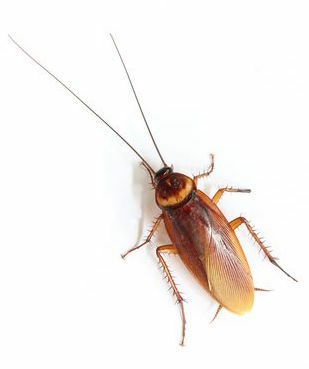 American Cockroach is the largest cockroach found, and can live through freezing temperatures, live up to 2 to 3 months without food, and a month without water. They are mostly found in restaurants, grocery stores, and commercial areas where food is prepared or stored. They live in moist areas, such as bathtubs, clothes hampers, basements and sewers, etc..
German Cockroach is the most common cockroach in the Pacific Northwest. They live in homes, apartments, etc.. (wherever food is stored, prepared or served). Brownhanded Cockroaches are very active and the adults jump when disturbed. they are more likely to be found in homes. They prefer warmth in places such as the closet, near the ceiling, behind kitchen appliances, etc.. They are more difficult to control because of how and where they hide.